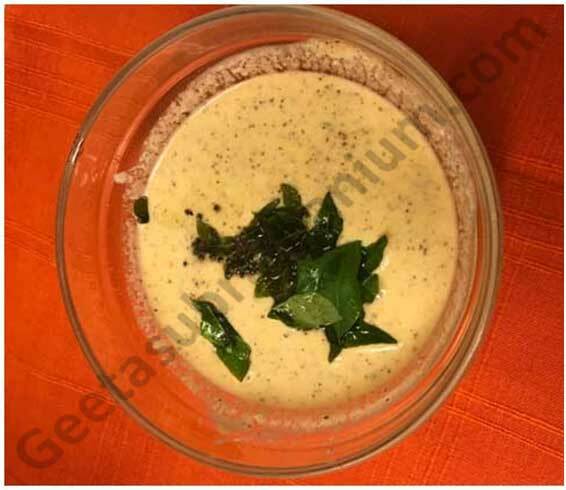 This is a kind of raita or relish from Palghat, Kerala. Goes very well with most main dishes. Also known as ‘MangaiParakku’. Peel and chop the mango into tiny pieces. Do not grate. Keep aside. In a bowl, beat the curd gently with a fork to get an even consistency and keep aside. Grind together ingredients for grinding to a smooth paste, using a little water. 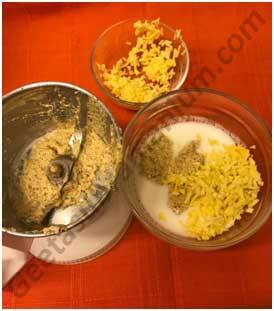 Transfer the paste into the bowl of curd, mix gently, add the cut mango and mix. Add salt and keep aside. In a wok, heat oil, add mustard and red chilli and when it splutters, add the curry leaves. 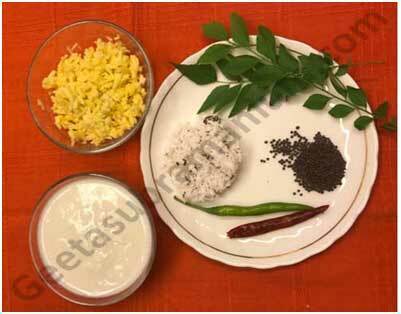 Transfer to the bowl of Pachadi. Chill before serving.